VinoVisit Works for Wineries—and Wine Lovers! Wine tasting is one of the fastest growing segments of the tourism industry. And what’s not to love? Beautiful scenery, winding roads, amazing wines, and delicious food pairings. But with so much to choose from, consumers are often overwhelmed when planning their trips to wine country. When do the wineries provide tours? What wines can I taste? How do I find your winery? What other wineries are nearby that I might want to check out? Fortunately, VinoVisit has simplified this process for consumers with their website, now entering its fifth year. The website relaunch in December promises to be even friendlier for wine lovers to locate, book and visit wineries. 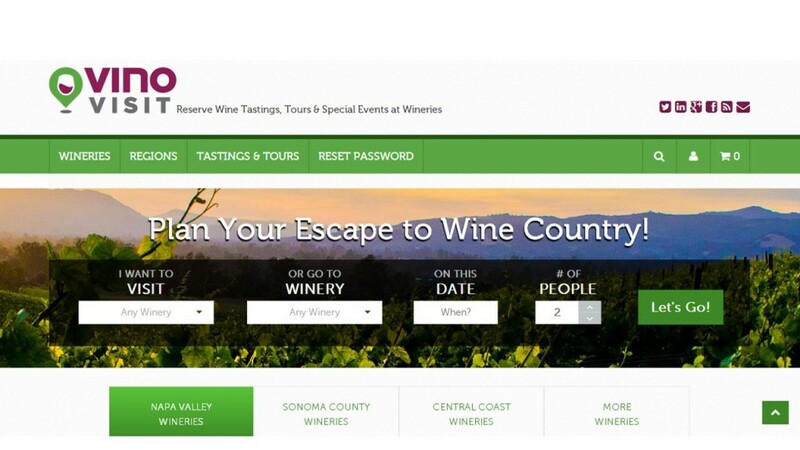 Wineries also love VinoVisit, and not just for its easy to use tasting room management tools. VinoVisitors spend 47% more on wine than other tasting room guests. Wineries who use VinoVisit reported a 67% decrease in cancellations and a 50% decrease in no-shows. Even better? A 300+% increase in contacts for their CRM. That means more wine club sales. Founded in Napa, VinoVisit is proud to have client wineries all around the world, including Oregon. VinoVisit is a partner of the 2013 Wine Tourism Conference and is pleased to be sponsoring such a great event. Built for Play. What the wine industry can learn from Video Game design.